Have you ever wondered how the gift of education impacts our students? Education brings hope for a better tomorrow to these deserving young minds. Many of our students have experienced things no child should, such as the effects of extreme poverty, illegal activities, sickness, or abandonment. One such student is Elijah, who lost several years of schooling after his parents passed away. During this time, he and his siblings were shuffled between children’s homes, and he eventually lost contact with several of them. He and his older brother Edwin were able to stick together, and eventually came to Sons of Manaseh Children Home, where they were able to finally put down roots and find some stability in their lives. 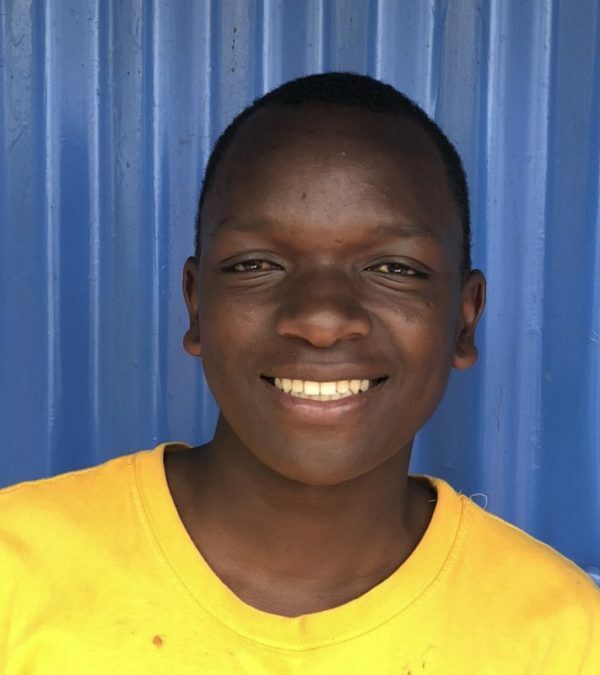 “My name is Elijah and I am a form 4 student at Njabini Boys’ High School. Looking back on where I was four years ago, a lot has changed. I scored 326 marks in my KCPE. Having passed well, I should have been excited about advancing in my studies, but that was not the case for me. I was hopeless; secondary school education seemed out of my reach without the necessary funds. I was overjoyed that Moja Tu came to my rescue and restored hope in me. Secondary school education is very different from primary school. Here you are given more responsibility over yourself. It is also very interesting to interact with students from different regions of Kenya. Embracing diversity is key to surviving in a secondary school. I always imagined that it would be difficult, but things didn’t turn out the way I expected. I really love my school and my teachers make learning fun. My favorite subjects are history, government, chemistry and biology. After secondary school, I would like to become a doctor. This is because of my desire to making this world a better place for everyone, especially the impoverished and vulnerable. Before I was sponsored, everything was uncertain and scary. Things are much different now. I am glad that I have people who have chosen to support me and care for me, both in Moja Tu and at Sons of Manaseh.